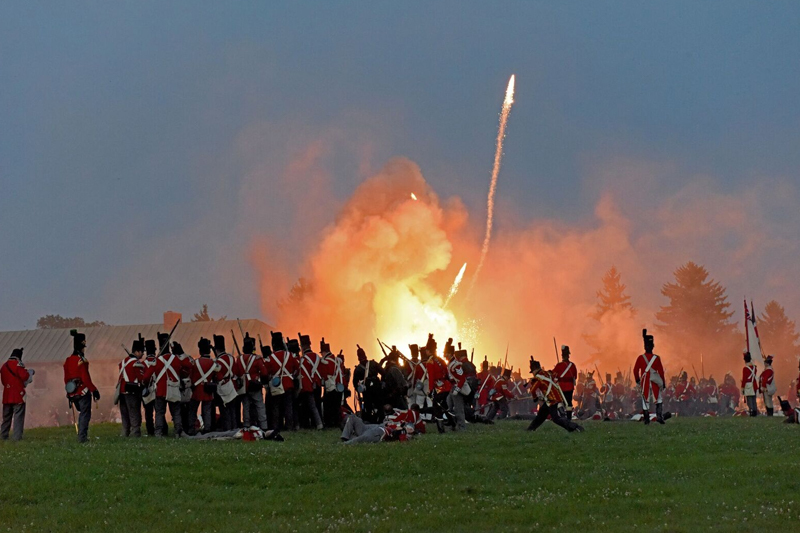 Join Old Fort Erie this August 11 and 12 for Canada’s largest annual War of 1812 re-enactment at Canada’s bloodiest battlefield. This weekend long event features battle re-enactments, demonstrations, historic merchants and more. Not one to be missed. All battles are free to watch. Fort tours start in the theatre on the hour from 10 a.m. – 4 p.m. Regular admission for entry to the fort, separate admission for the Saturday night lantern tour.